were held between May 1, 2018 and November 11, 2018. In 1951, six years after the end of World War II, George Butler, then 40 years old, was called up by the California National Guard to serve as a physician during the Korean War. While training for seven months in the Miyagi region of Japan, he took about 2,000 photographs while staying at Camp Matsushima, currently the Air Self Defense Force Matsushima Base in Higashimatsushima, Japan. In 2013, Alan Butler, his son, began restoring the color slides and black and white negatives in the collection. About one hundred and thirty photos are being shown in this exhibit. They provide a rare portrait of the coastal area of Miyagi Prefecture in 1951. 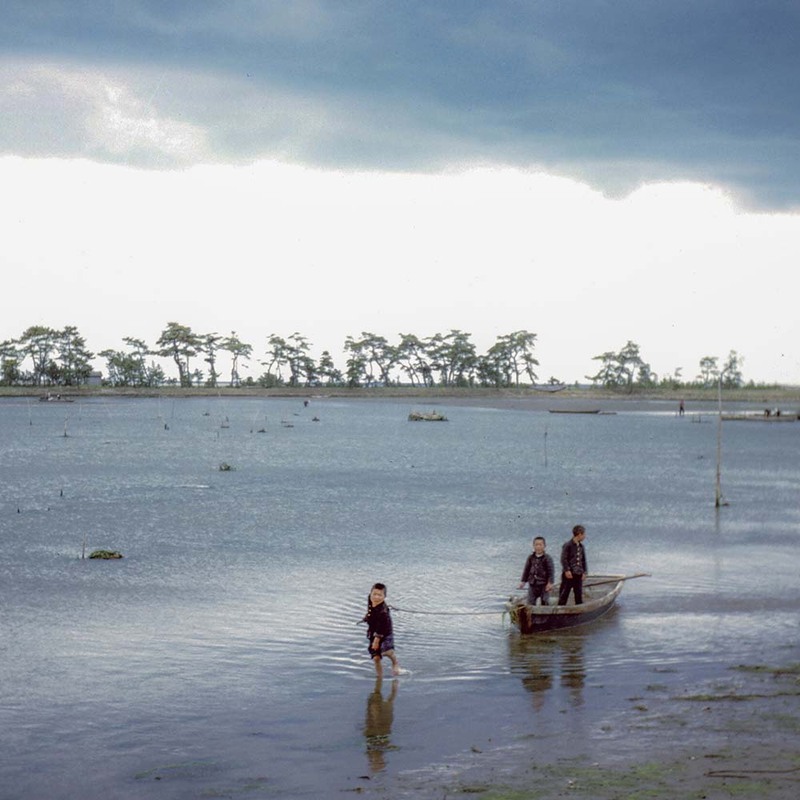 The photographs are a vivid picture of the region six years after the end of World War II and will be all the more poignant to those who experienced the Tohoku Earthquake and Tsunami, which devastated the region in 2011. 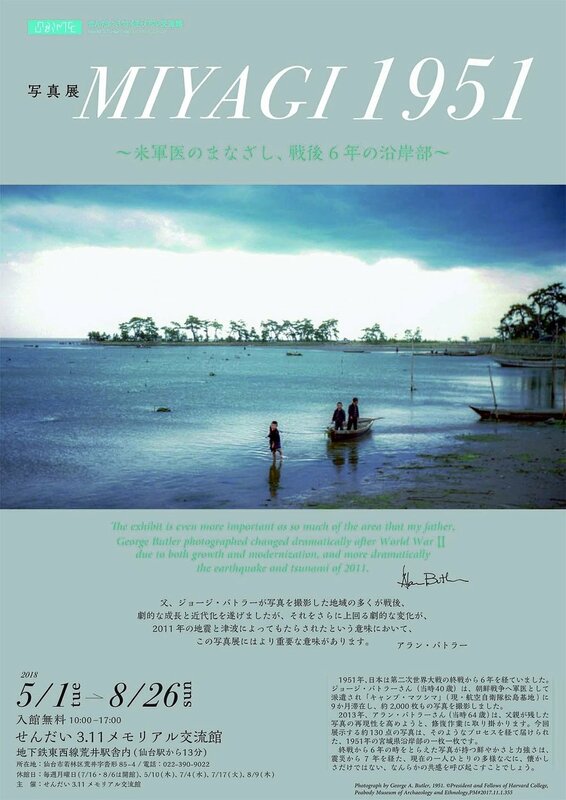 Translation Supervision / Communa Inc.
※ In addition to exhibiting the photographs, we are seeking information about the people, locations and activities shown in the photographs. ※ Alan Butler also shares additional photographs on his website www.miyagi1951.com . ※ The copyright of the photographs is held by the Peabody Museum of Archeology Ethnology Museum at Harvard University.